For me its a the complete food! It has carbs, protein and veggies - and all in 1 bite! Hahaha.. But seriously, I love pizzas. 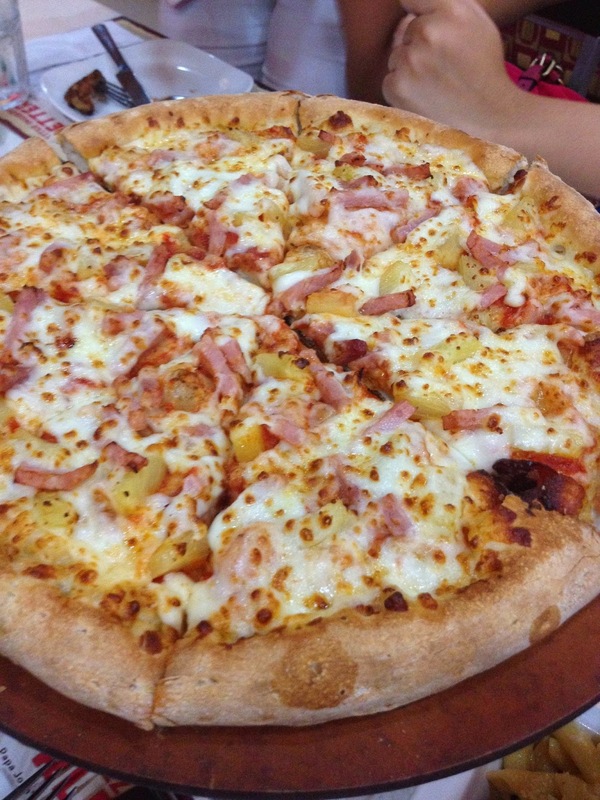 Ask my Panget and he will tell you, pizzas are one of my favorite food (the all time favorite is french fries). 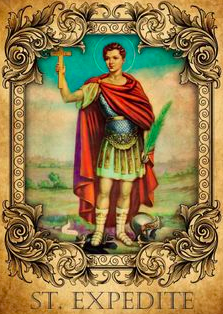 I first heard of Papa John's a long time ago while watching an American news segment on cable. 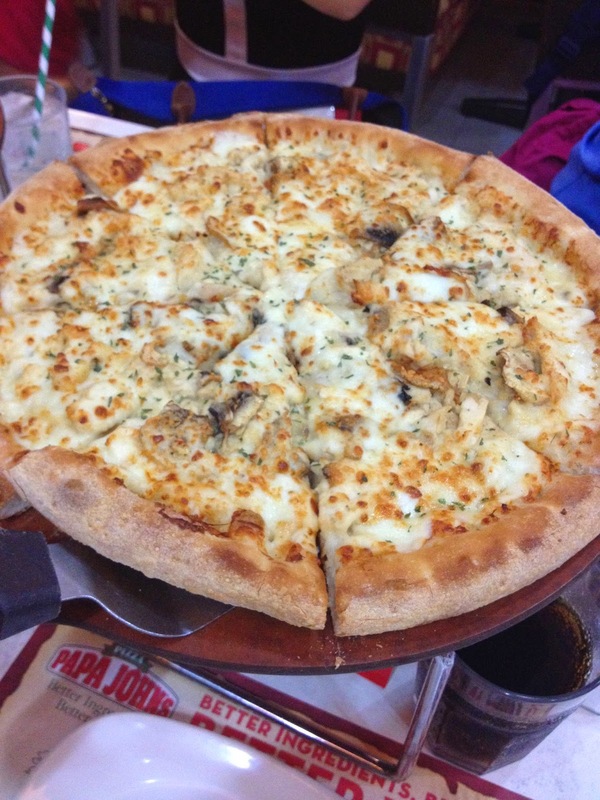 It was showcasing how Papa John's has grown and how it has been giving its competitor Pizza Hut a run for its money in the Pizza industry. I remember seeing the real Papa John showing the viewers on how he personally makes his pizza. He then elaborated on this tagline - Better Ingredients, Better Pizza. I have been a fan of Papa John's since it arrived in our shores. We have been ordering from their Tomas Morato branch for pick up ever since they opened, why pick up? Simply because its faster! And that means, I can have my pizza is a shorter amount of time! We were then shown how a Papa John's Pizza is made. 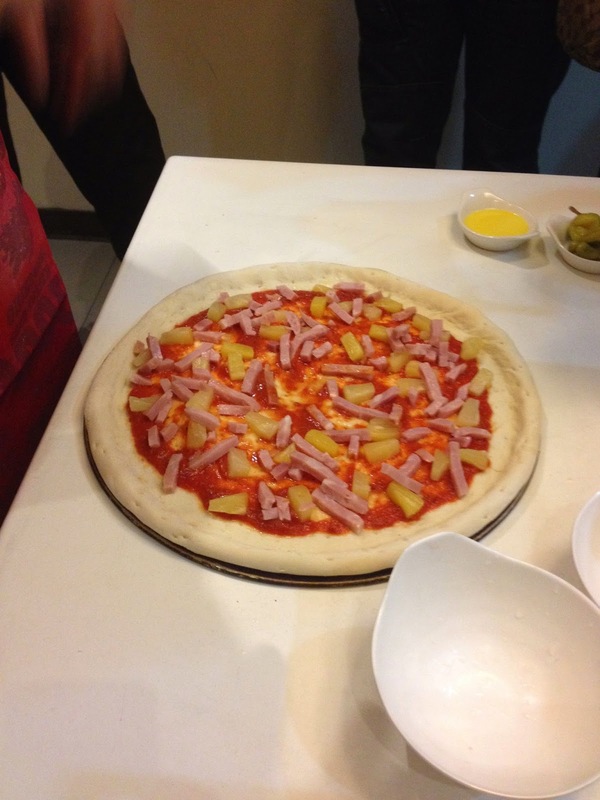 The chosen pizza was the Hawaiian, which simply means the topping consists of only ham and pineapple. Whats so special about the Papa John's Hawaiian pizza is that they use Canadian bacon strips instead of the traditional ham! Spread about 5oz of tomato sauce on the pizza dough. Make sure to leave 2inches of space on the edge of the pizza dough. 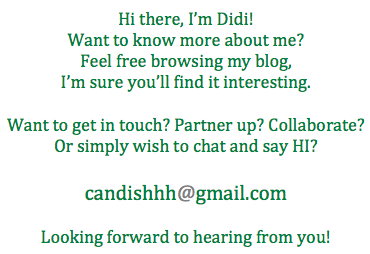 The reason behind this is simply - to make it look neat! 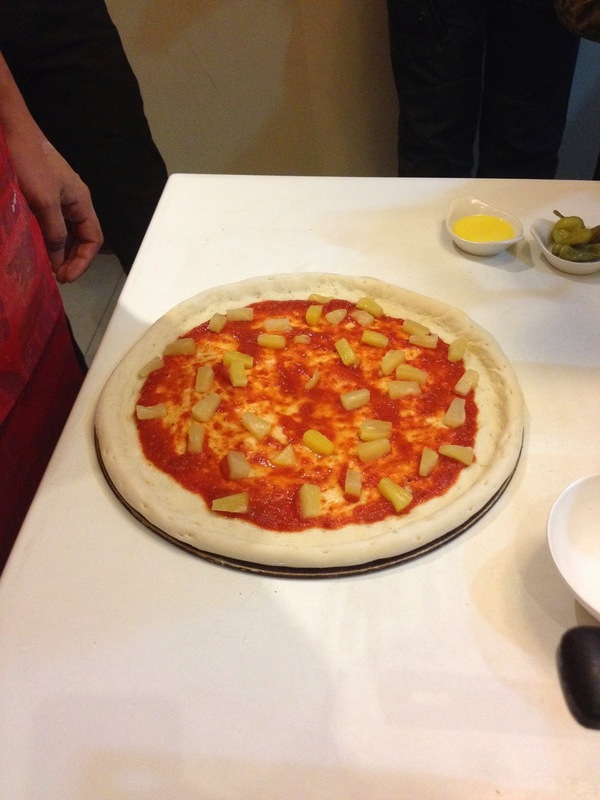 Now, you can spread out the pineapple chunks. Make sure to spread from out going in. They taught us something special - a No Topping Zone right smack in the middle. at the smallest tip of the pizza slice! The you add the Canadian bacon! Remember - no topping zone!! And now, grated Mozzarella cheese is added. 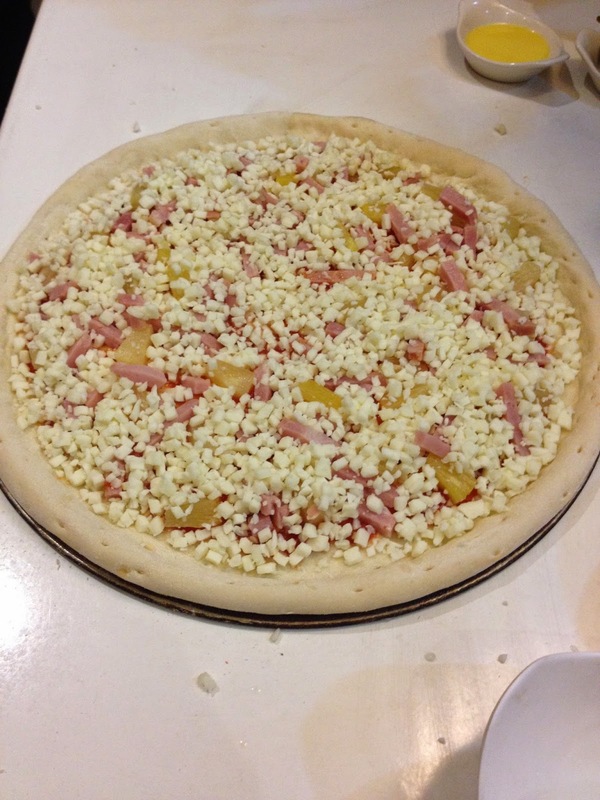 This time, pour the cheese to cover the topping. At this point, make sure to cover the pizza and just leave an inch of space from the edge. It tastes even better! I think I found a new favorite! 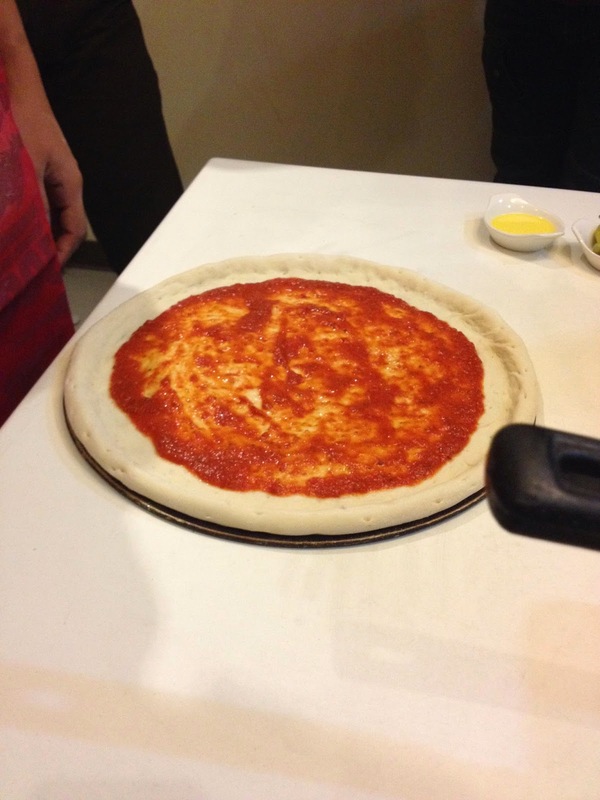 A simple yet very flavorful pizza! Papa John has a number of promos running to their patrons. My favorite it the Classic Tuesdays! 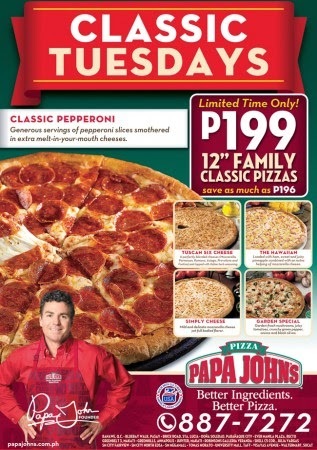 On Tuesdays, Classic pizzas are prices at P199.00 - and that's for the 12" pizzas already!! 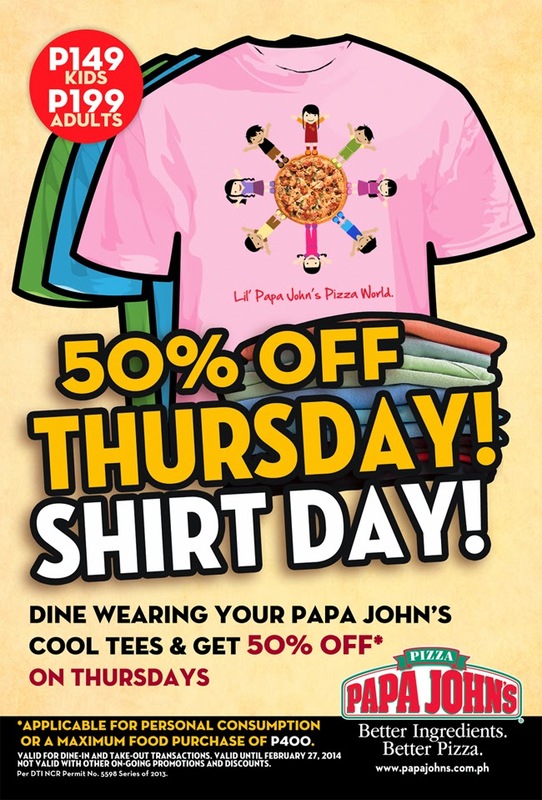 They also have the 50% off Thursdays offer - where if you wear a Papa John's shirt while dining in - your bill automatically gets 50% off its tab! For more promo news - you may visit their official website and their Facebook page - Papa John's Philippines! Have a wonderful time enjoying their pizzas! !